Urban Ballads, Hip Hop / Rap / RnB Sample from Ueberschall. 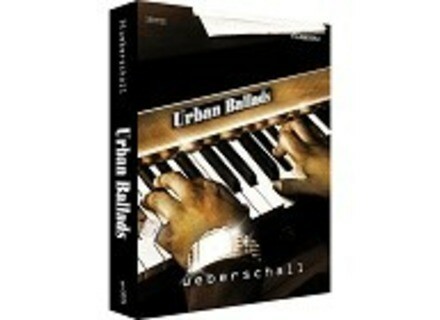 Featured by the Urbanic Series, Urban Ballads is a new release which includes 22 Construction Kits providing 3.6 GB of R&B Music. All Construction Kits feature samples, beatz, guitars, Rhodes, pianos, basslines, synths, pads, fx sounds and drum and percussion sounds. Every sample on Urban Ballads is labeled with BPM information and root key (key signatures). SAE Course - Production: The Epps Factor SAE Online announced the launch of its newest course with producer and engineer Stuart Epps. Loopmasters DJ Mix Tools 11 Trance Vol 1 DJ Mixtools Trance Vol 1 gives you four tracks Trance sounds, mixed and mastered into track elements. Loopmasters Electro Folk India Vol 1 Electro Folk India Vol I Bundle is a boutique collection of samples created by a fusion of the analog and the digital.